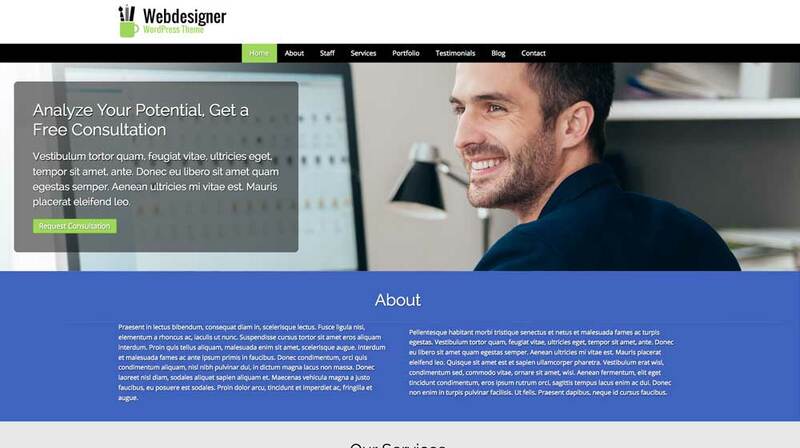 The Web Designer WordPress theme is a powerful tool for web designers and web design agencies. 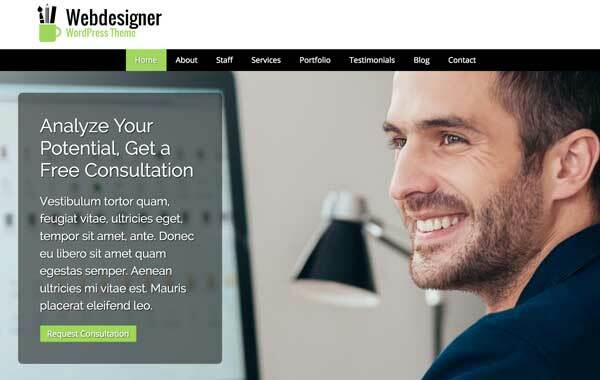 Built to help you get your services online fast, this premium website template is all set up with placeholder content and ready for your own text and images. 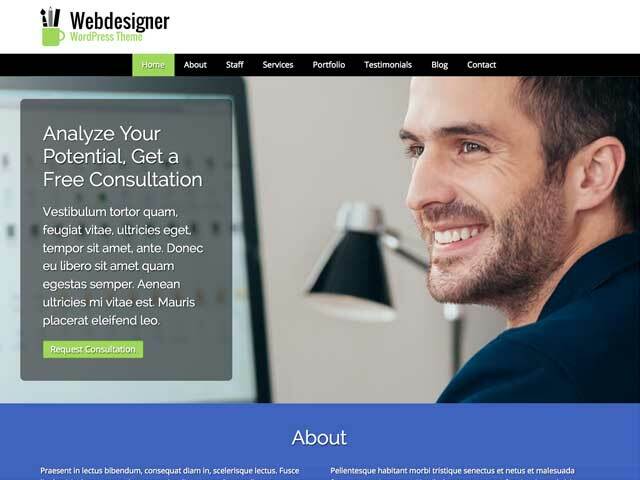 As a web designer, you know how much work it is to build a full website. 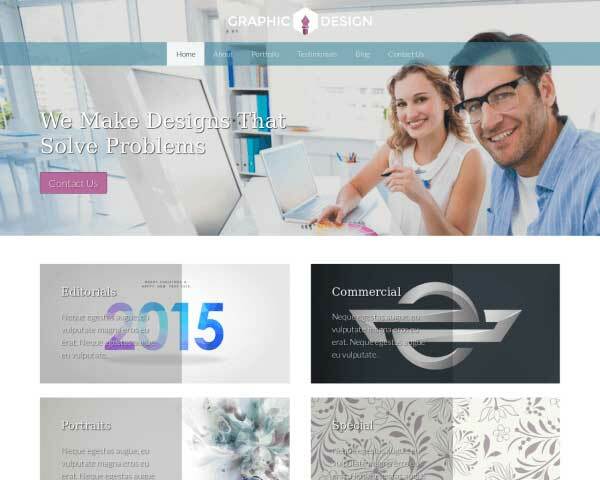 So why not save yourself some time and effort by starting near the finish line with our Web Designer WordPress theme, pre-built with pages for a full portfolio, company profile, blog, contact details and more. The initial design, layout and placeholder content are in place upon activation, so all that's left to do is fill in your own text and images. Have some fun customizing the color scheme and layouts using our visual front-end editing tool. You'll be able to style buttons and text, use Google fonts and customize built-in forms without any coding or plugins. 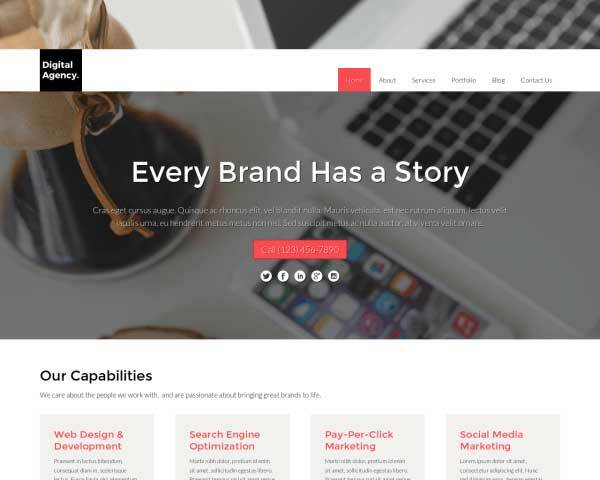 Truly a premium WordPress theme, this responsive website template includes features like built-in contact forms, lightbox image galleries, integrated social media options, and an SEO manager to help you get the most out of your online presence. 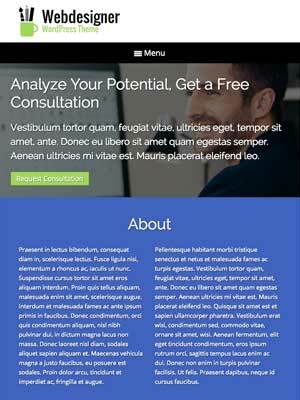 Try the Web Designer WordPress theme risk-free for three days and see how you like it. 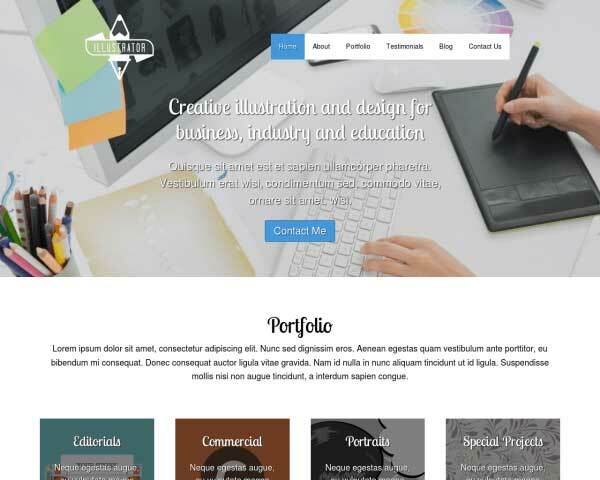 We're sure you'll love how quick and easy it is to get your complete portfolio website online faster than you ever thought possible. 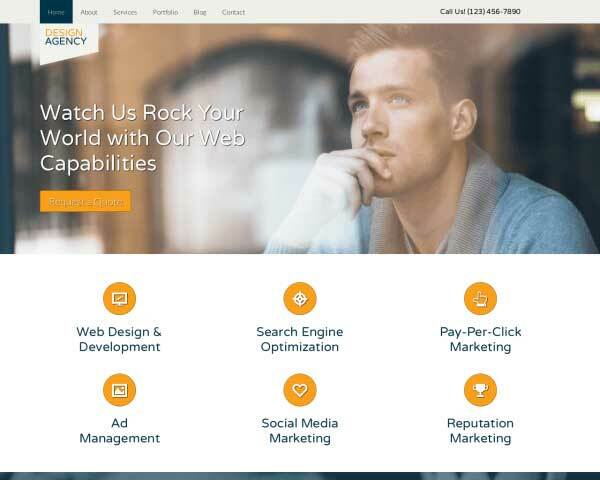 It kind of goes without saying that as a web designer, your website should be optimized to look great and work perfectly even on mobile devices. 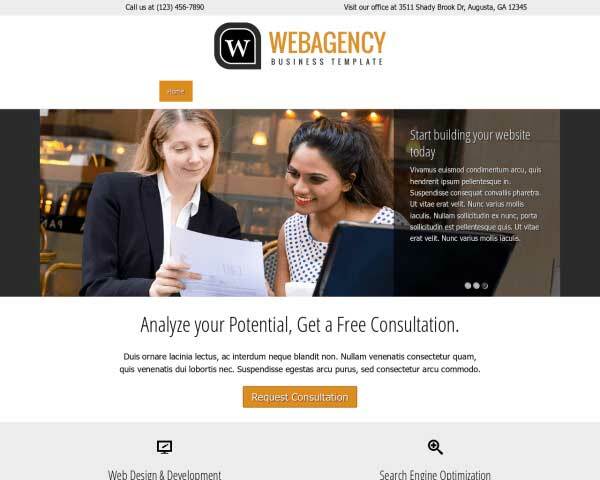 Your clients will want the same for their own websites! 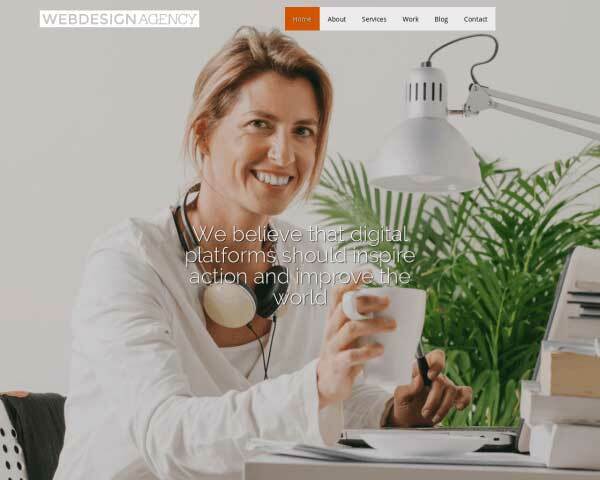 So you'll be glad to know that right out of the box, our responsive Web Designer WordPress theme is built to automatically adapt to the capabilities of any handheld device. Absolutely no coding, plugins or extra effort is required. You content will render beautifully at every screen size, on any browser, smartphone or tablet — even as new devices enter the market in the future.